Today is international whisk(e)y day so I wanted to recommend a really good book I’ve had for a couple of years now. 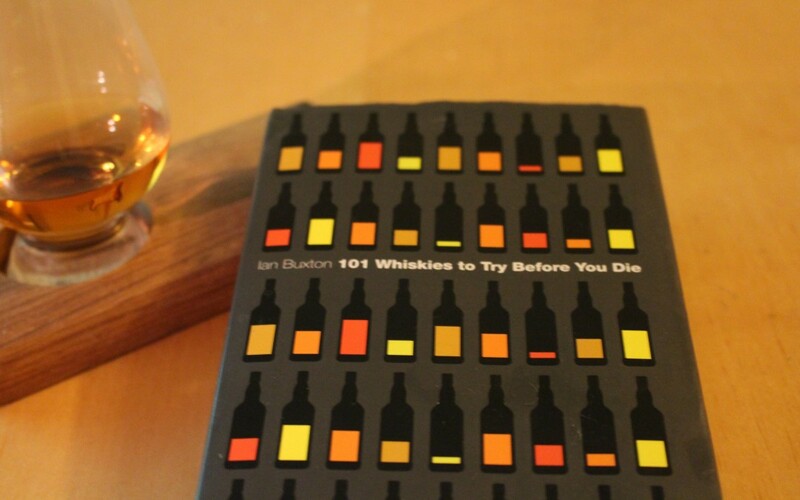 Now in it’s 3rd edition, (photo above is my first edition copy), Ian buxton’s 101 whiskies to try before you die is a great little book for the budding whisky (or whiskey, its not just Scotch in here) enthusiast. It’s definitely not the “best whiskies” in the world as it states in the preference but it does have a great selection of different styles and distillers from across the globe. At the time of writing I’ve tried 32 and have 69 to go, not bad for a year and a half’s “work”. I haven’t bought every bottle of the 32, maybe about half of them. the rest I’ve had in bars, whisky tastings or even at a few distilleries. Master of Malts do sample bottles which is great for the most expensive bottles in the book.